Several mini PCs based on Intel Gemini Lake processors were unveiled at CES 2018, including Zotac PICO PI226, MeLE PCG63-APL4, and ECS LIVA Gemini Lake models all of which slated to launch in Q2 2018. ASRock and GIGABYTE also announced Gemini Lake motherboards a few weeks later. 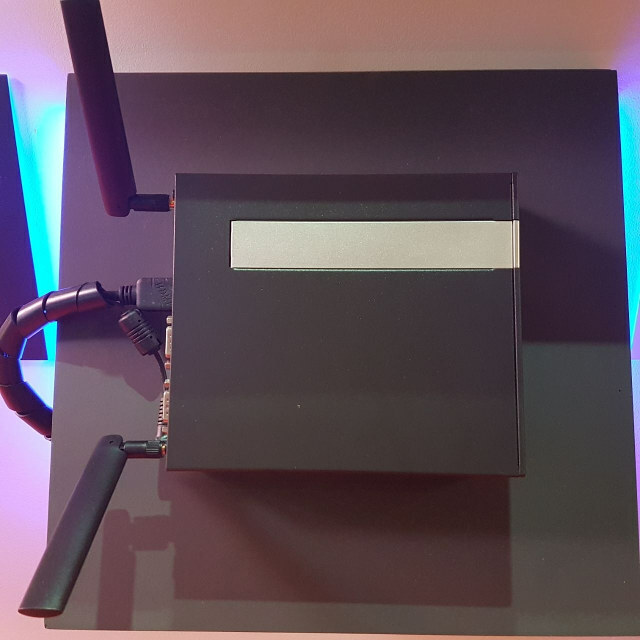 Most of the products above are for the consumer market, but if you’re after a Gemini Lake mini PC more geared towards business use cases like digital signage and multi-display solutions, Shuttle is now showcasing their DL10J mini PC powered by an Intel Celeron J4055 Gemini Lake dual core processor, and offering 3 video output ports at Integrated Systems Europe 2018 (ISE 2018). The fanless mini PC will support Windows 10 64-bit or Linux, and ship with a VESA mount. Optional accessories will include a stand for vertical operation, and a 19″ 2U rack mount front plate. Shuttle has not setup a product page yet, but some information could be derived from the product guide (in Russian).